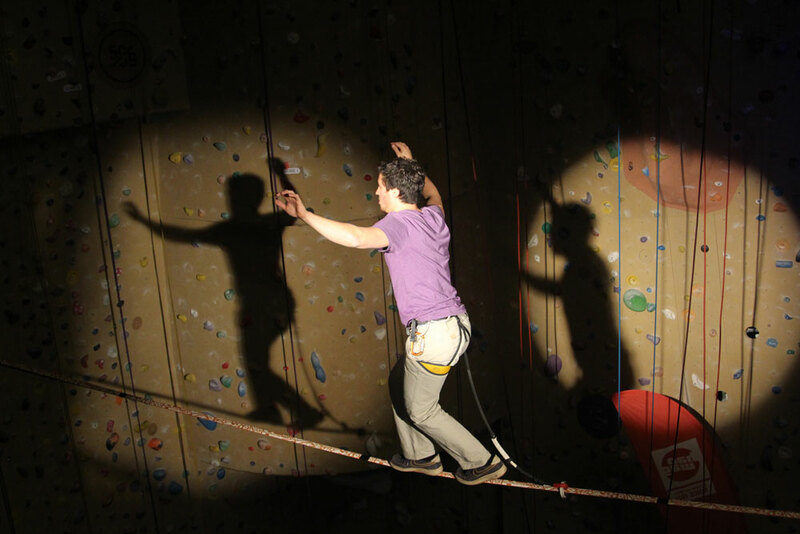 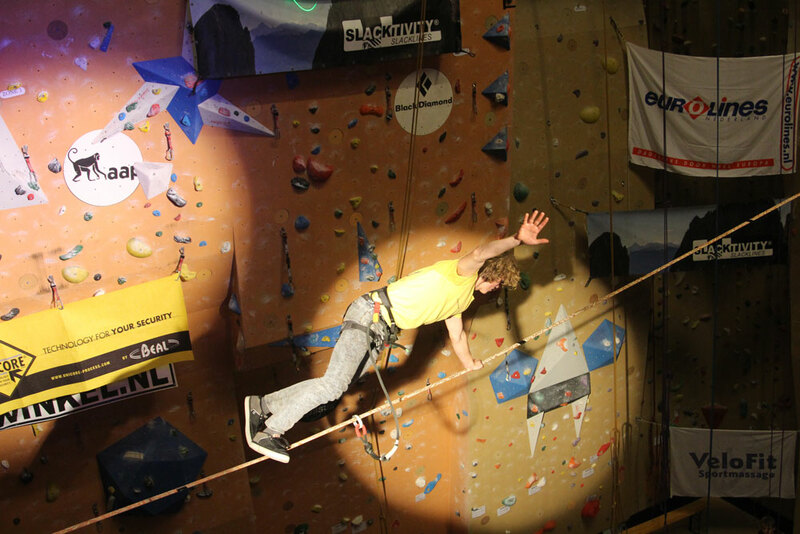 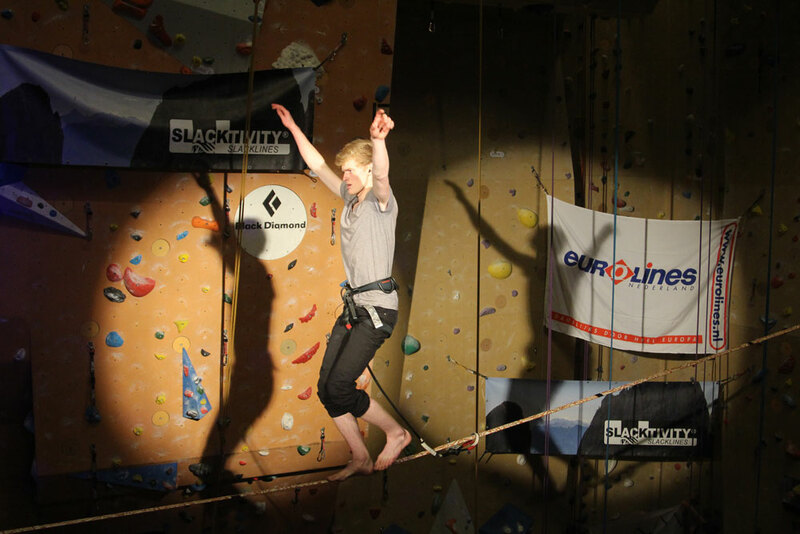 During the break before the finals of the National Students Championships of Lead Climbing in 2013 the Dream Walkers performed a highline Show. 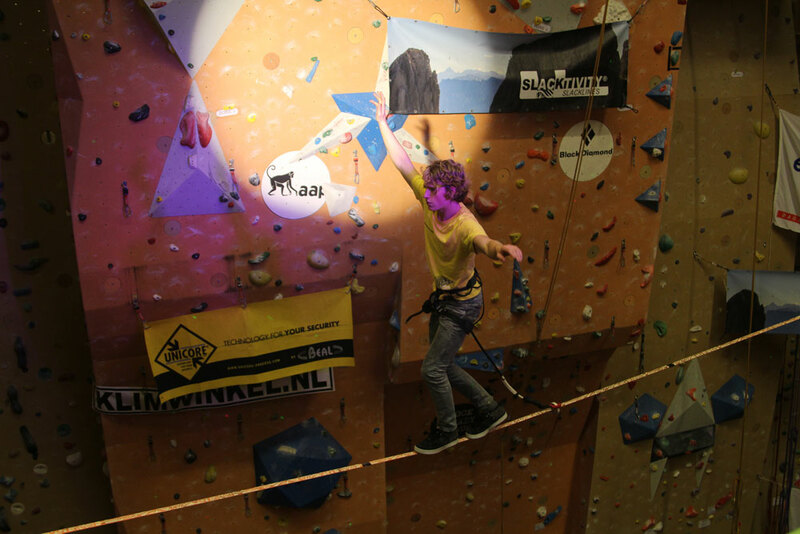 Yuri, Tom and Jonas showed their skills on the highline that went totally across the climbing hall. 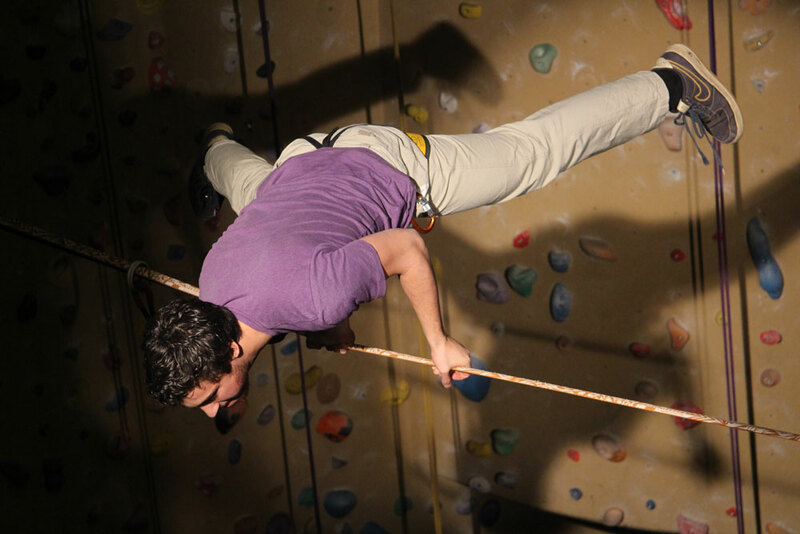 Jonas and Tom showed some pretty hard moves on the line, like a buttbounce and loads of static moves.